I was on my own for the 4th of July so I made a blueberry pie to take down to my grandmother and aunt who live about an hour away. Some years ago, I made an unbaked blueberry pie that involved cooking some of the berries with sugar and cornstarch on the stovetop to create a sweet, semisolid "sauce" into which you folded the rest of the berries. You poured the filling into a pre-baked crust and chilled for a few hours before serving. The uncooked berries retained their freshness and pop, while the "sauce" bound them together and it was the best blueberry pie I'd ever eaten, skirting two common problems with summer fruit pies: soggy crust and heavy, supersweet filling that tastes neither fruity nor summery. But I couldn't remember where this stellar recipe came from and I looked and looked and finally gave up and made a blueberry glace pie from The Farmhouse Cookbook by Susan Herrmann Loomis that looked very similar. It's delicious, but the proportion of fresh berries to cooked seems too high. This recipe looks about right and next time I crave blueberry pie, I'll try it. Now I will tell you about the dress. 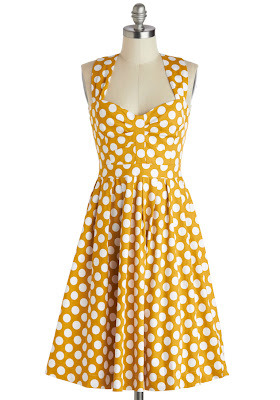 This is the first item I have ever bought on ModCloth. I appreciate how one user review of the dress says, "perfect for small busted ladies." True! I have to be careful with ModCloth because the clothes are very youthful and I am not. But I think this dress looks like something a mature woman might have worn to an afternoon party in the 1950s. Mrs. Cunningham on Happy Days? A nosy neighbor lady in a Douglas Sirk melodrama? Since my grandmother likes it when my sister and I "make an effort," I made an effort and wore the dress for the first time on the 4th of July. She looked me up and down and said, "Mark is gone this week? I hope you're behaving." Like I've been going to martini bars and letting strange men light my cigarettes. This is how I knew she liked the dress. This is my grandmother's language. I whipped cream for the pie and then my grandmother, Stephanie (my aunt), and I sat around the kitchen table and ate blueberry pie and talked for several hours. We talked about family members who died in 1932 and family members who were born three years ago. We talked about people we know who have a touch of OCD (discretion!) and people who could use a touch of OCD (Owen). We talked about boys who chased my mother in high school, female friends who wronged her, children who used to swim with my cousins and me at the Beauvoir pool circa 1976, and about my lovely, lovely grandfather, whom we all miss. I am starting to tear up as I write this. I don't have a mother, but I still have an aunt and grandmother and sitting around the table with them was like taking a long, deep drink at the well when I hadn't even known I was thirsty. It was the perfect 4th of July. Toward the end of the afternoon, Stephanie said, "Let's go out to dinner!" But I had to drive home and lock the chickens in their house before the skunks came out for the night and I had to feed the obnoxious goats before they started eating the fence and as I stood up to leave, I resented those animals with every fibre of my being. I kissed my grandmother good bye. "That is a very beautiful dress," she said. "Poor Mark. I hope you're going straight home." Like I had any choice. Blueberry pie is heaven(actually, blueberry anything is heaven), and that recipe is very good. I've been using it for several years now after trips to the U-Pick. Try this one from "Diners, Drive-Ins, and Dives"
http://www.foodnetwork.com/recipes/blueberry-goat-cheese-pie-recipe/index.html. It's wonderful in a very unusual way. My family hated it. I loved it. The dress is very "Mad Men". Watch out for Don Draper. So very lovely...I hope you can visit them more often and tell us all about it. That dress is gorgeous, we want to see YOU in it!! Re: getting compliments: My mother (deceased) was very stingy with compliments; I only had a clue she liked something I did or made if she didn't say a word. Maybe a year later I'd overhear her tell someone (or me) how much she'd liked something or other. People bloom and sparkle when they are praised, just like a plant needs water and sunlight to thrive. You said you no longer have a mother; YES YOU DO!! She'll always be in your memory bank; she's always with you. I made the same sort of blueberry pie a few years ago! It was perfect because the pre-baked crust stayed so crisp and the blueberry filling set up perfectly. Alas, I can't remember exactly where the recipe came from either but it may have been this one, http://www.epicurious.com/recipes/food/views/Open-Faced-Fresh-Blueberry-Pie-101866. The link you posted looks like a good one too - I have to make it now! How great to be able to spend that kind of time with your aunt and grandmother! Love the dress too! Such a touching post. You're so lucky to have that conversation. Best of all, you know you're lucky. thanks. I too lost my mother several years ago, and got to visit with two aunts and a two cousins last month - - it was wonderful. "I am starting to tear up as I write this. I don't have a mother, but I still have an aunt and grandmother and sitting around the table with them was like taking a long, deep drink at the well when I hadn't even known I was thirsty. " And I'm so glad you have a lovely 4th. Thank you for commenting on that particular feature of that adorable dress! As a small-busted dame, I am always in search of complimentary clothing (and people, for that matter). I, too, would love to see a photo of you in it. You have also solved a mystery for me....this weekend I saw a very young woman wearing a very retro, high-waisted bikini. Now I see this is a trend, at least on ModCloth! It looked great on her and it was daring in its own way. Oh, I don't have a mother or an aunt or any female relatives, so I am envious. Sitting around a table with women of common history is so special, and it's wonderful that you realize it. Your prose is beautiful, thank you for sharing that. Great dress! I, too, would love to see it on you, but that may not be your thing. Glad you had such a good holiday. I just made my first strawberry pie this weekend, using prepackaged pie dough from the store (I was truly in a lazy mood) and a method similar to what you mentioned. Couldn't have worked out better, especially considering the fact that I didn't use a recipe! I also got to use my new gadget, purchased for CHEAP on Groupon (http://molecule-r.com/en/culinary-whipper/45-culinary-whipper.html) to make the whipped cream. Perfect and hassle-free every time -- and even cleaning is fairly easy. Also, re: Modcloth, beware for two reasons: (1) it's incredibly addictive and (2) sizes, cuts, and quality vary quite a bit. My spouse can attest to both, and yet her addiction lives on! Quick question for you, by the way: have you ever delved into homebrewing? I may have gotten a little damp-eyed reading about your day with your grandmother and aunt and remembering your wonderful mother. 1) it's too damn hot even to think about baking and 2) I love the berries plain so much that I don't WANT to cover them up with sugar and cornstarch slurry (seriously! how unappetizing is a "slurry", anyway?). I bet you look spectacular in that dress. I had an uncle who was a dairy farmer. One Easter we were all at my grandmother's where my Aunt was thoroughly enjoying herself visiting with my grandmother, her brothers, sisters-in-law, and all the rest of the family. Mid-afternoon, my Uncle got up and announced it was coming up to milking time and therefore time to go. My Aunt said "But Brac, it's Easter," to which my Uncle replied "Cows don't take no holidays." I'm sure she resented those cows "with every fiber of her being," as you put it, all the way home and well into the night. People who don't own livestock do not understand how much it owns you! 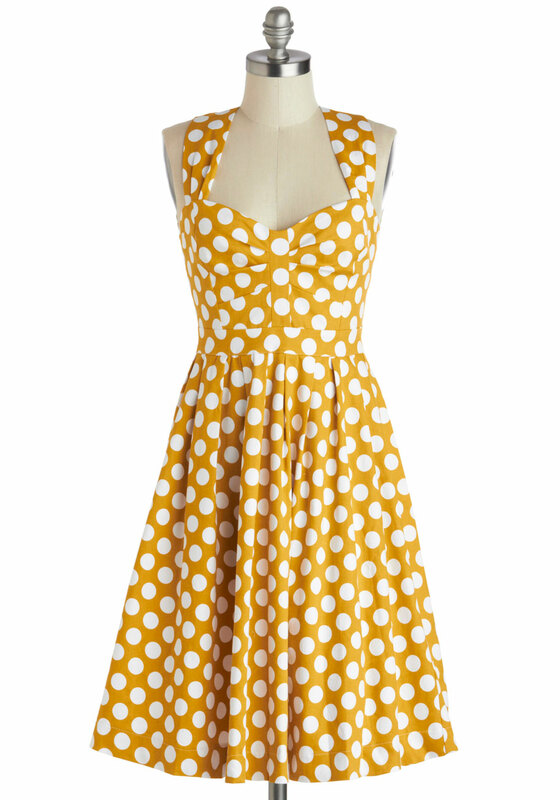 I loooove this dress and I love the idea of adding fresh blueberries to a pie filling. I've never baked a pie but this might be my first one. Also thanks for the touching family story found myself in diving into my heritage quite often recently. Did your daughter ever finish her chocolate chip cookie recipe search? I have a very strong rec for the ones in Baked - they have a high dark brown sugar to white sugar ratio, though I think the recipe needs more flour, perhaps 1/4 cup. I love your posts about your grandmother; would like to hear more about her background if you're so inclined. Thank you, thank you. This has to be one of my favorite posts....so many times we are thirsty and we don't even know it. We reach for the wrong things and how fantastic that you got exactly what you needed at the right time. We have recently lost a major player in our family and we all feel parched while trying to feed the chickens (so to speak). It gives me hope that we too may find what we need when we least expect it. This is probably the best blog post I've ever read. what a lovely post. thank you for sharing your conversation with your aunt and grandmother (who sounds brilliant!). it's made me feel very homesick for my mother and sisters, who i'm seeing in august.. can't wait! the dress is fabulous and i'd love to see your picture in it! So I am new here. I actually just bought your book after my sister-in-law recommended it, and loved your writing style so I found your blog, which also looks fun and makes me feel a little better about my own enormous stash of cookbooks, so thank you for that. 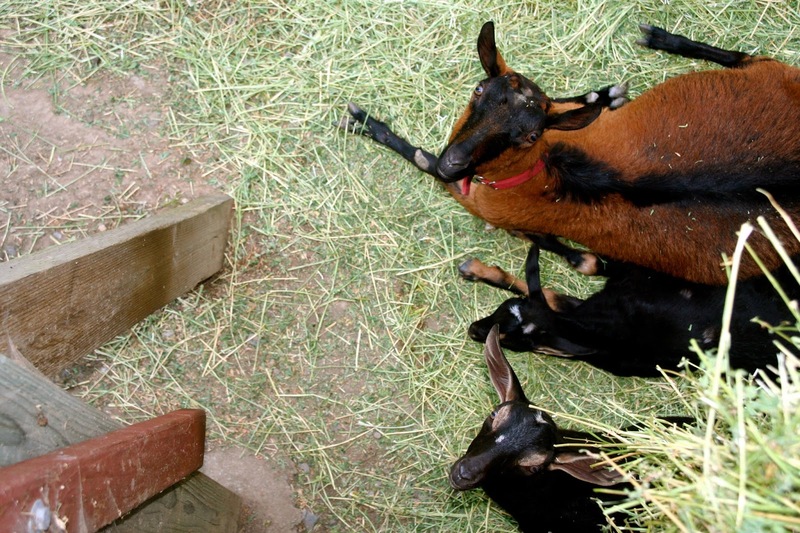 I actually wanted to know, a few years into goat ownership, if you still love having them around. 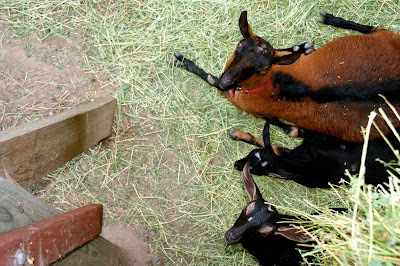 My husband and two of my daughters have been trying to get me to agree to getting a couple of goats, and after reading your goat chapter I thought it was something I could definitely handle, provided we started with "tricycle" nigerian dwarf goats; I am in no way ready for a goat the size of a great dane. But looking at this blog for the first time ever it looks like you aren't quite as smitten as you were when your book was published? Although maybe it's just how you felt when pulled away from such a great moment with family? I've scrolled through a few months of chapter titles on the blog and haven't found any that make it seem like you've changed your mind, but again, this is the first time I've been here, my youngest doesn't take the longest naps, and I still have quite a bit of laundry to do, so I thought I'd just ask directly for an update on your feelings about living with goats. Thanks! Hungry now! We regularly make sausauge, kale and bean casserole in our house. Yum! To get more info just check out plagiarism detect. wow, it's beautiful, I love your coat, I am very curious about your cookbook.